Virtual screening by TiD identified the R-enantiomer of ketorolac as a hit for blocking GTPase activation in response to growth factor stimulus. Ketorolac is a nonsteroidal anti-inflammatory drug (NSAID) used for pain relief under the trade names ToradolTM and AcularTM as well as generically. The important work undertaken at UNM has led to the completion of cell-based and preclinical animal studies that indicate the use of ketorolac in the prevention of ovarian tumor growth. In addition, a pilot CLINICAL TRIAL is underway to determine ketorolac distribution in the peritoneal compartment and the intellectual property associated with these discoveries is available for licensing from STC UNM. Oprea, T. et al. (2011) Drug Repurposing from an Academic Perspective. Drug Discov. Today: Therapeutic Strategies, Winter, 8 (3-4), 61-69. In 2011, work by a team of scientists at UNM led by Rob Hromas, M.D., found that metnase, a DNA repair enzyme identified by Hromas in 2005, was a potential target for adjuvant therapy in cancer. TiD was able to assist UNMCC and Hromas’s team by providing structure-based virtual screening studies that showed Raltegravir, which is marketed by Merck as an inhibitor of HIV-1 integrase under the trade name IsentressTM, effectively inhibits metnase at levels approximately ten times those approved for IsentressTM. This important work has resulted in ongoing human CLINICAL TRIALS in head and neck cancers at UNMCC and is available for licensing through STC UNM. Williamson, C. et al. (2012) Targeting the Transposase Domain of the DNA Repair Component Metnase to Enhance Chemotherapy. Cancer Res. 72, 6200-6208. 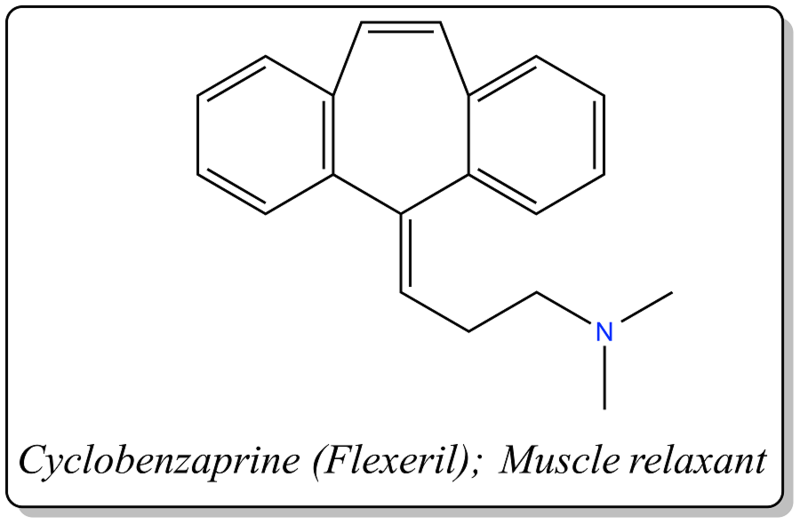 A collaborative effort involving TiD’s expertise in drug informatics and virtual screening along with clinicians and toxicologists has found evidence suggesting the muscle relaxant cyclobenzaprine’s, marketed as FlexerilTM for more than 30 years, unknown mechanism of action could be the blockage of serotonin and norepinephrine transporters as well as the blockage of several serotonin receptor subtypes. This work has indicated that cyclobenzaprine exposure may be involved in serotonin syndrome. The work of TiD did on this project helps illustrate the importance of associating drugs and targets, an effort that, as in the case of cyclobenzaprine, may never be possible without the capabilities of bioinformatics.